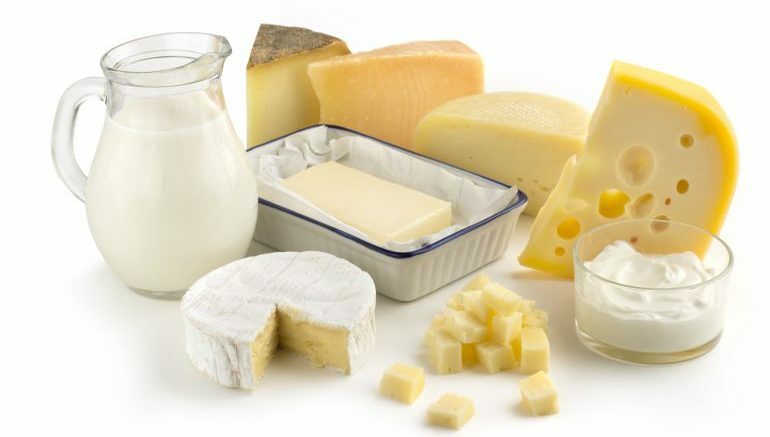 A collaborative study made by researchers at the University of York, the University of Bristol, and the Centre National de la Recherche Scientifique, has revealed how the ‘love affair’ between humans and dairy products has existed for at least 9,000 years. Interestingly enough, a previous research alluded to an incredible societal scenario where humans proclivity for milk-products possibly fueled their need to domesticate cud-chewing animals such as cows, goats and sheep. And while it is still debatable if dairy was more important than meat in early Neolithic Mediterranean (circa 10,000 BC), scientists have found evidences that suggest that dairy products were consumed in northern Mediterranean by 7th millennia BC. At the onset of food production in the northern Mediterranean region, milk was an important resource to these early farming communities. It is likely to have played an important role in providing a nourishing and storable food product which was able to sustain early farmers, and consequently, the spread of farming in the western Mediterranean. In this work, we integrate for the first time the findings of the analyses of lipid fats extracted from hundreds of cooking pots with the reconstruction of the actual herds at tens of sites, based on the remains of sheep, goats and cattle. Some of our earlier work had demonstrated that milk use was highly regionalised in the Near East in the 7th millennium BC, and this new multidisciplinary study further emphasizes the existence of diverse use of animal products in the northern Mediterranean Neolithic. Dairying was clearly practiced both in the east and west of the region, but surprisingly not in Northern Greece, where the lipids from pots and the animal bones tell the same story: meat production was the main activity not dairying. We presume this was also true back in the early Neolithic period, although this is still to be confirmed through genetic testing of ancient skeletons. Despite this deficiency, our research shows that they certainly exploited milk because we have found organic remnants in the pots they were using. This implies they were transforming milk into dairy products, such as yogurt and cheese, to remove the lactose. Despite dairying being a multi-billion pound global industry, we know that much of the world’s population today are still intolerant to lactose so it is very important to know at what point people in the past were exposed to it and how long they have had to adapt to it. The study was originally published in Proceedings of the National Academy of Sciences of the United States of America, on 15 November 2016. Metaphors have been there in English for at least 1,300 years!